Celebrate Valentine’s Day at TAO Las Vegas and get their signature fortune cookie which has been dressed up for Valentine’s Day. 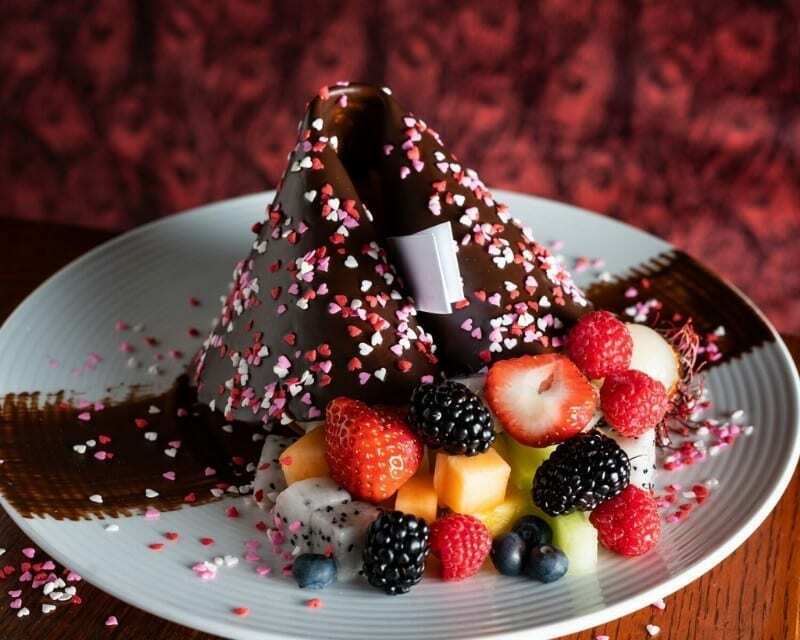 TAO’s signature fortune cookie has been brushed with chocolate, sprinkled with mini hearts, and served with Valentine’s Day inspired fortunes. TAO can also customize the fortunes with personal love notes if requested in advance with reservation i.e. proposals, anniversary notes, etc.